Cherry and Spoon: Minnesota Fringe Festival 2018: "The Womyn's Mysteries"
Minnesota Fringe Festival 2018: "The Womyn's Mysteries"
Summary: An ensemble created piece telling the stories of the women in the Bible. 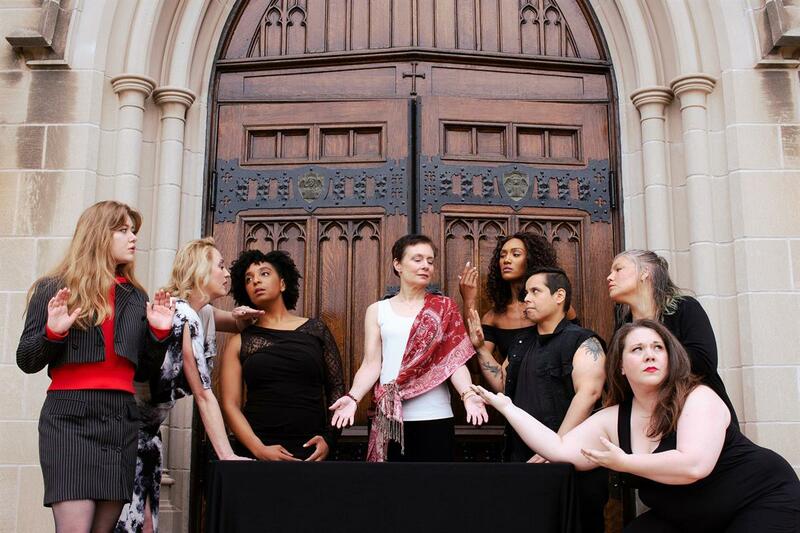 Highlights: Using music, movement, scarves, and stories, this diverse and talented 8-womyn ensemble (Erika Kunk, Gina Sauer, Jex Arzayus, Jody Bee, Kate Kennedy, Katherine Engel, Samantha Joy Singh, and Vinecia Coleman) tells stories from the Bible you may have heard before, but not quite like this. The piece is arranged in four parts (the beginning, matriarchs, warriors, and lovers or harlots), and the ensemble members take turns narrating and acting out scenes. They make these ancient women seem modern and relatable. There's also a bit of fourth-wall breaking, when someone will call cut in a questionable scene and the cast will proceed to discuss the story they're telling. There are also scenes in which they truthfully speak their own personal fears and wants. It's a beautiful thing to see a group of womyn on stage supporting each other in telling their stories and the stories of womyn in history and mythology, and how that history and mythology has shaped where we are today. A timely and timeless piece.